Infineon Qimonda - HYS72T256420HFA-3S-B Memory - 2 GB - PC-5300 - DDR2 SDRAM - 240-PIN"
The main memory of a computer system is not one without reason among the first components that are eligible for an upgrade in question. The main memory of a computer system is not one without reason among the first components that are eligible for an upgrade in question. This is partly due to the easy use way, since this is Infineon HYS72T256420HFN-3S-A RAM module simply nachgesteckt on the motherboard. Secondly, the RAM has a significant share in the overall system performance. When Qimonda HYS72T256420HFN-3S-A memory module is the DDR2 SDRAM engineering. Specifically used servers can be adapted to new requirements with this so again. With 2GB of increased capacity you will always notice a performance boost, which you run, for example. Applications faster or start the server system in a shorter time. 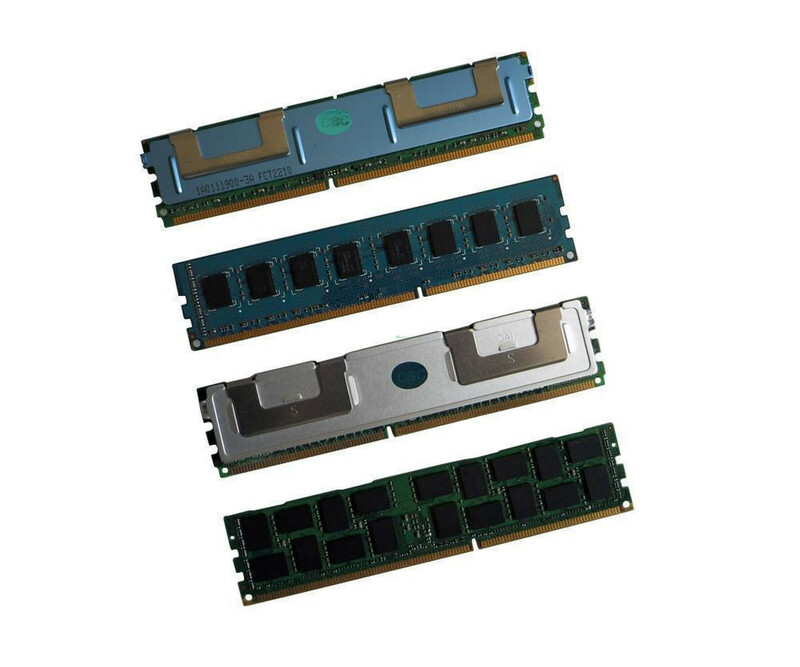 Do you want to Infineon use HYS72T256420HFN-3S-A 2 GB DDR2 SDRAM in your server or workstation have, you should consider not only the memory technology. The module also works with an ECC function, which must also be supported by the host. Mixed operation of ECC and non-ECC RAM is usually not possible. For the connection of the working memory, a clock frequency of 667 MHz is used wherever possible. However, this might also be less and is adjusted automatically, provided that the additional hardware specifies a lower clock. Moreover, it is at Infineon Qimonda HYS72T256420HFN-3S-A 2 GB DDR2 SDRAM course a DIMM 240-pin module. The use or exchange therefore usually only takes a few minutes to complete.